Addison Lunsford, 9, of Troy, reaches for a shell as she prepares to get some trap shooting practice in at the Piqua Fish and Game last month. Lunsford is a member of the Miami County Trap Shooters 4-H Club. Members of the Miami County Trapshooters 4H Club line up to take their turns on the range at the Piqua Fish and Game last month. 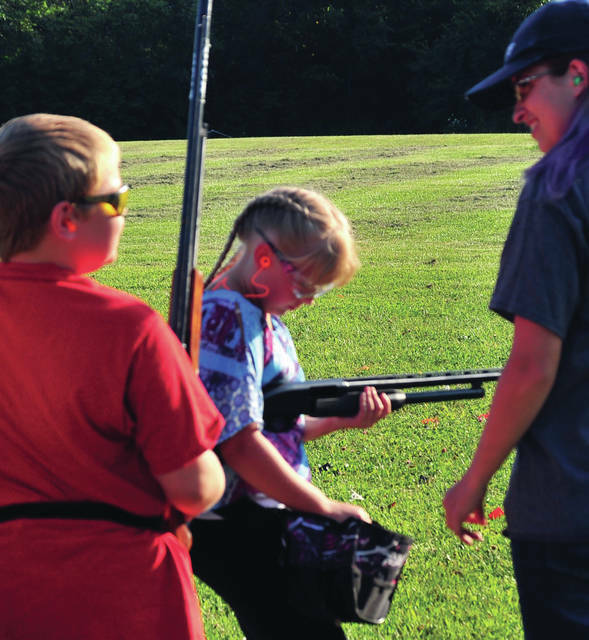 MIAMI COUNTY — Miami County 4-H Trapshooters club emphasizes safety and fun as youth learn proper techniques and safety to enjoy shooting sports. The club is exclusive to shooting sports and has been an active 4-H club in Miami County for more than 20 years. 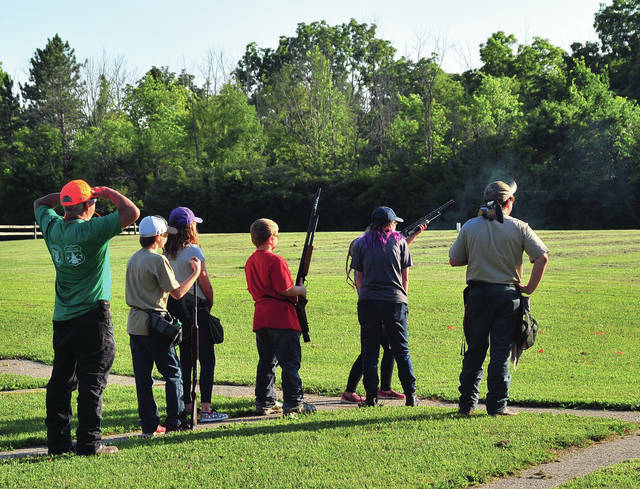 The club, which meets at the Piqua Fish and Game and has eight members this year, utilizes the Fish and Game’s trap shooting range, archery area, and Western cowboy range. Adviser Jerry Aguilar shared how the club focuses on safety first and foremost — then fun. “It’s all about safety here. They learn the proper way of wearing safety gear, handling of the equipment and have fun doing it,” he said. Eli Sabins, 17, of Troy, competes at trap shooting events around Ohio and has been a member for more than decade. Sabins now is transitioning to more of an adviser role as he progresses through the sport. He recently earned the title as the Miami County Champion trap shooter in his division at the Troy Fishing Game event, with a score of 48 out of 50 targets in July. “I like teaching the kids on how to shoot and try to better myself with it. I was 7 years old when I first came out here,” said Sabins, who joined the club after family friends told him about it. Larry Ratcliff, of Tipp City, has been involved in the 4-H club since he retired and is an adviser and administrator for the club. Ratcliff commended the Piqua Fish and Game for allowing the 4-H club to use their facility, keeping the sport affordable and accessible. All advisers are trained and certified. The 4-H club youth members also participate in a sport camp to try everything from archery to shooting trap. Ratcliff said he enjoys watching the youth absorb the safety aspects of the sports, often reminding each other of the rules and precautions of their sport. Tim Knepshield’s father, Charles, helped start the club and followed his steps to help youth enjoy the sports. Knepshield also is certified as a Living History adviser for another unique discipline for the club — Western Heritage. The club uses the cowboy range, which is set up like an old Western gallery. Leobarda Aguilar and Mike Schmackers are also 4-H club advisers. The club meets at the Piqua Fish and Game for meetings and use of the range for the 4-H members. 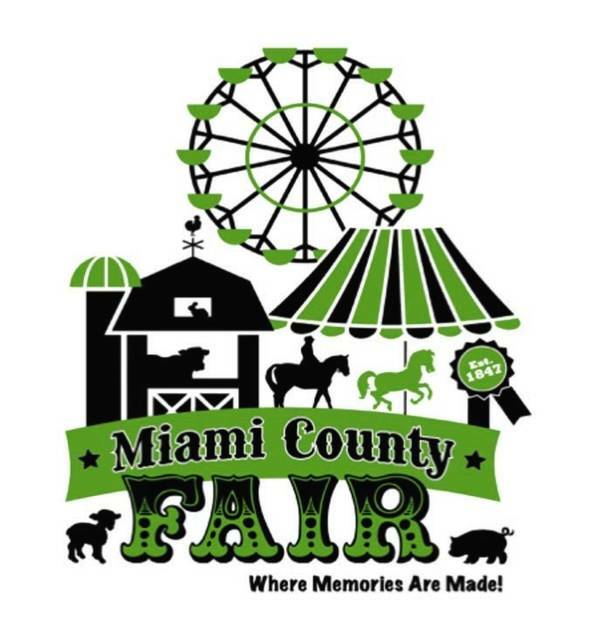 The Miami County 4-H Trapshooters can try out each type of sport including trap shooting, bow crossbow, pistol, rifle, muzzle-loader and cowboy-style at its facility. The 4-H club’s booth will be on display at the Duke Lundgard building throughout the Miami County Fair.